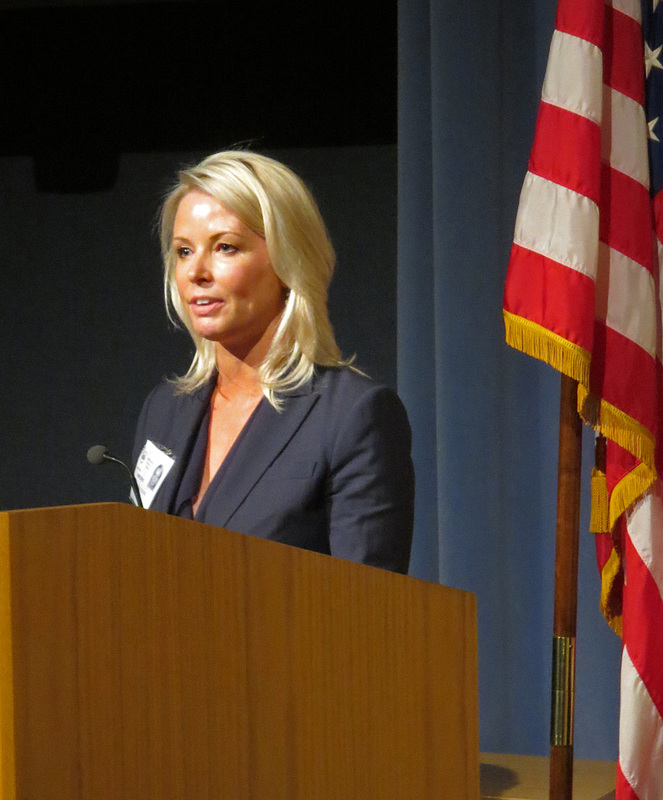 Shauna Devine spoke today at the National Library of Medicine on “The Civil War, the Army Medical Museum, and the Surgeon General’s Library: Medical Practice and the Science of American Medicine.” Dr. Devine also contributed to the NLM’s book Hidden Treasure. You can read her essay about our Civil War surgical card collection on page 281 of that publication, which is downloadable for free here. Circulating Now interviewed her about her work. Shauna Devine: I am currently a visiting research fellow and adjunct professor at the Schulich School of Medicine and Department of History at Western University. I am entering the writing stage of my second book project on the Civil War, which examines the state of Confederate medicine, its relationship to civilian practice and the larger differences between northern and southern medicine. I also teach the American Presidency in the Department of History. My days are usually spent preparing for lectures and writing. CN: Can you tell us about the work you presented in your lecture, “The Civil War, the Army Medical Museum, and the Surgeon General’s Library: Medical Practice and the Science of American Medicine.” ? SD: Today I presented material from my forthcoming book with the University of North Carolina Press, Learning from the Wounded: The Civil War and the Rise of American Medical Science. I discussed the role of the Civil War in the transformation of American medical science. In the years before the war, training for physicians in the United States was mostly unregulated, and medical schools’ access to cadavers for teaching purposes was highly restricted. I suggested, that in spite of these limitations, Union army physicians rose to the challenges of the war, using methods of study and experimentation, including dissection and microscopy, for new research into infectious disease processes, which I argue, would have a lasting influence on the scientific practice of medicine. CN: How did you originally become interested in the History of Medicine? What inspires you in your work? Have you ever made a discovery in your work that made you say “wow!” ? SD: I have long been interested in all aspects of the History of Medicine and the American Civil War. I decided to do my Master’s thesis on the health crisis in Andersonville prison. The paper began mostly as an epidemiological analysis of the prison, but what struck me in my research, was that southern physician Joseph Jones traveled to Andersonville at the request of Surgeon General Moore, to study both the disease conditions in the prison and the effect of so-called southern diseases on northern bodies. He set up a rudimentary laboratory, he had a microscope and dissection kit, along with two assistants, and he proceeded to study tissues, organs, and bodily fluids in the attempt to understand specific disease conditions. I was struck by this for two reasons: first, I had the impression that the Civil War was a medical disaster and that methods were generally backwards. And yet Jones investigated disease in a way that elite, contemporary European physicians would understand. Historians generally locate the development of the medical sciences in America with the next generation of physicians and students—particularly those that studied in Germany. I decided, then, that I wanted to see if Jones’s methods of investigation were atypical and I wanted to explore the larger impact of the war on American medical science. What I found was a transformational experience for many American physicians—both the elite and rank and file. I hope my book will shed new light on how the doctors’ innovations in the midst of crisis transformed northern medical education and gave rise to the healing power of modern health science. 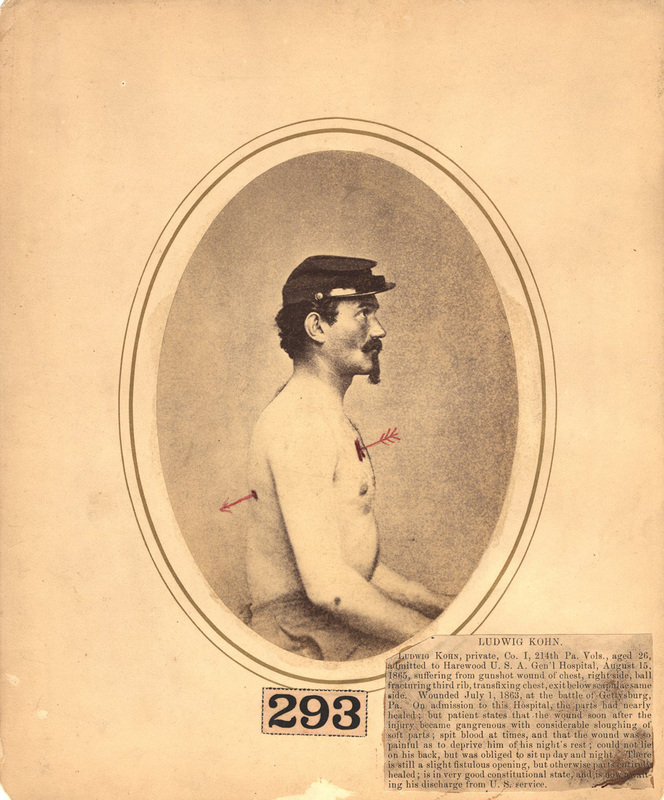 Photograph of Ludwig Kohn by Reed B. Bontecou taken to illustrate his medical case for the Army Medical Museum. CN: What brings you to use the collections of the NLM? Is there an item in our collection that has been particularly useful in your studies, or for which you have special interest? SD: I extensively used many of the collections at the NLM—they were in fact invaluable and I spent about six weeks at the Library early on in my dissertation research. My book has a chapter on the 1866, 1867, and 1873 cholera outbreaks and the NLM has excellent resources on cholera. I also looked at many of the Surgeon General’s Records, circulars and the “receipt of circulars” from various international medical colleges, libraries, etc. as John Shaw Billings worked to build the Library in the postwar period. I also used a number of photographs, many submitted by R. B. Bontecou in my current work on medical photography. Moreover, the staff at the NLM has been a great resource—and very supportive of my research. Stephen Greenberg was extremely helpful in suggesting sources that I had not anticipated, Michael Sappol offered a lot of suggestions along the way making my work much stronger, and I am grateful that Jeffrey Reznick invited me to speak at the lecture series and share my research with members of the NIH community. CN: How do you see your work making a difference in the world? SD: I hope my book will challenge and even correct some of the pervading myths surrounding Civil War medicine—the idea that “saw-bones” were merely hacking off limbs and inadvertently spreading disease. It is true that 750,000 people died as a direct or indirect cause of the war. So it might seem counterintuitive to suggest the war was a stimulus to the development of American medicine. But it was, as I argued earlier, one of the most significant educational interventions of the 19th century—not simply as a school for experience, but also as a conduit for infusing new tools for exploring, explaining, and managing disease into the larger fabric of American medicine. Dr. Devine’s presentation was part of our ongoing history of medicine lecture series, which promotes awareness and use of NLM and other historical collections for research, education, and public service in biomedicine, the social sciences, and the humanities.